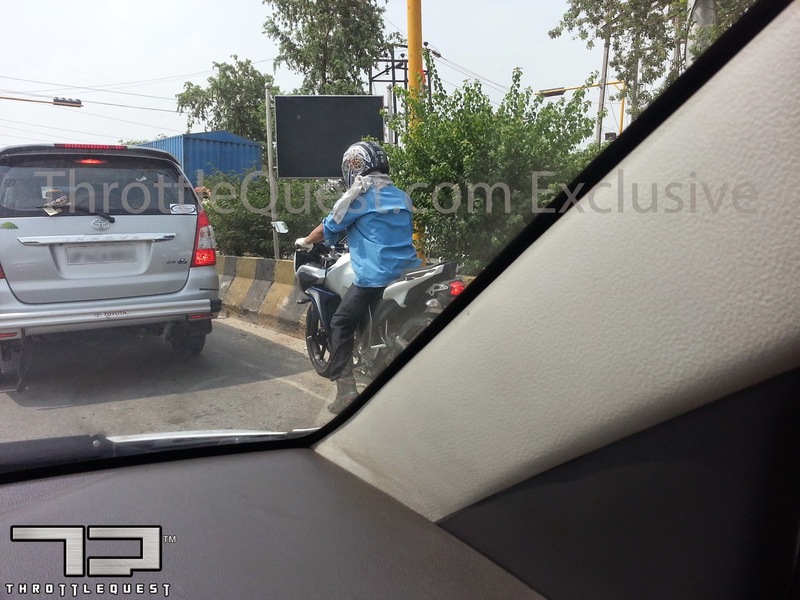 Throttlequest spots what is in all likeliness the new Yamaha Fazer. 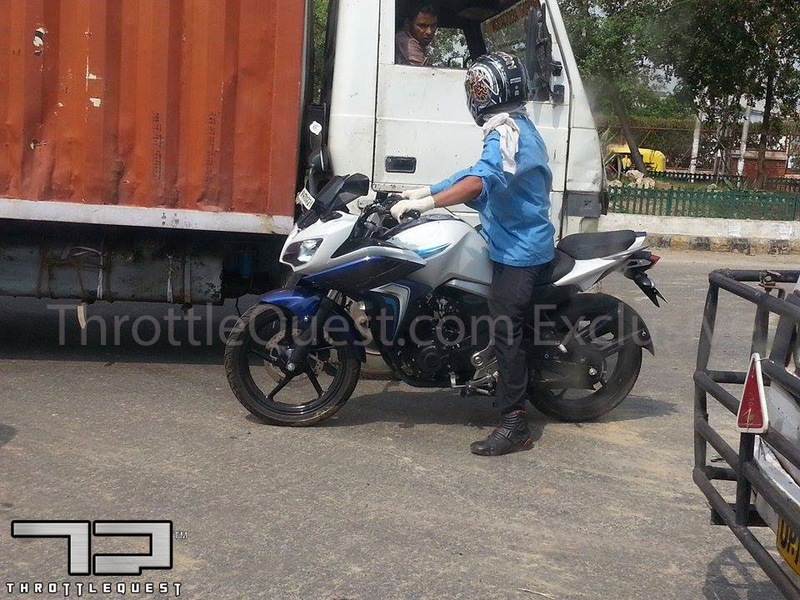 Team throttlequest has spotted the new Fazer being tested (thanks to the eagle eyes of Spandan Singh). Given that Yamaha India has recently launched the all new FZ16 and FZ-S, it is about time that the new Fazer would show its face as well. The bike looks ready to launch and is being ridden without any camouflage. 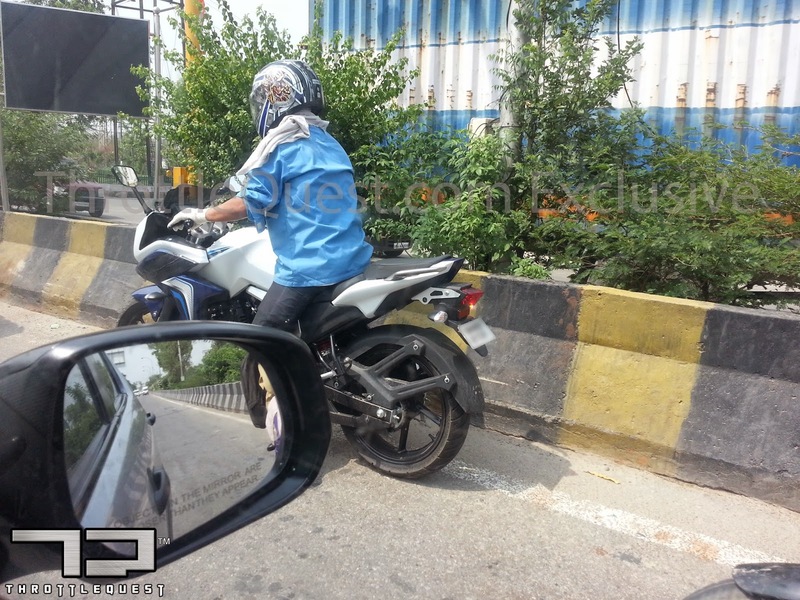 We believe that the bike is undergoing final testing for the updated front fairing as we expect that technically it would be same as the newly launched FZ16/S. If that is the case, then it would be the new fuel injected 149cc single cylinder engine making 13.1PS @ 8000RPM and 12.8NM @ 6000RPM. The bike certainly looks better with the new body work and the front fairing. While we wish that Yamaha would give it a bigger engine, it will in all likeliness be same as the new FZ. Watch this space for further updates as we get them.